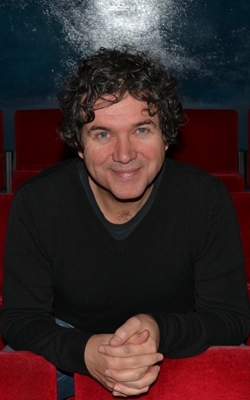 Peter currently works as the Artistic Director and Joint CEO of Polka Theatre, having previously been in similar positions at Little Angel Theatre and Kazzum. His work for Little Angel theatre included the directing of Carol Ann Duffy’s ‘The Tear Thief’ and Michael Rosen’s ‘We’re Going on a Bear Hunt’. His productions of ‘The Tempest’ (co-produced with The RSC) and ‘The Tear Thief’ were both nominated for OFFIES for the ‘Best Production for Young People’. Prior to Little Angel, Peter directed over 40 productions for his company Kazzum and several other theatres, one example being the Puppetry Director for ‘Moonlanding’ at the Derby Playhouse. Other examples of his work with puppetry have included his role as founder and festival director of SUSPENSE: London Puppetry festival. For Polka, Peter recently adapted and directed ‘The Paper Dolls’ and ‘The Everywhere Bear’ by Julia Donaldson and a musical version of ‘How to Hide a Lion’ by Helen Stephens. His production of ‘Peter Pan’ won an OFFIE for best production for children.